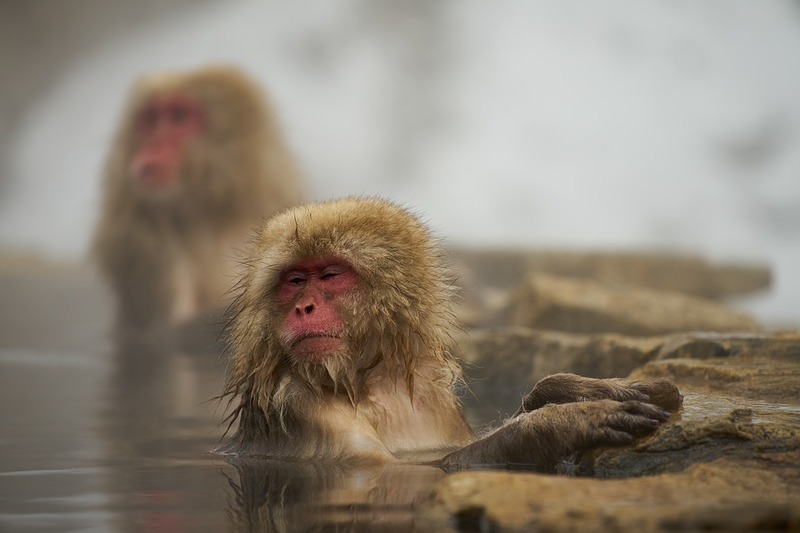 Perhaps one of the most iconic images of winter in Japan is of the famous “snow monkeys”, Japanese macaque who over the years have developed the habit of bathing in the steaming natural onsen waters in the tranquil forested area of Nagano prefecture. The history of this monkey business is a bit surprising actually. 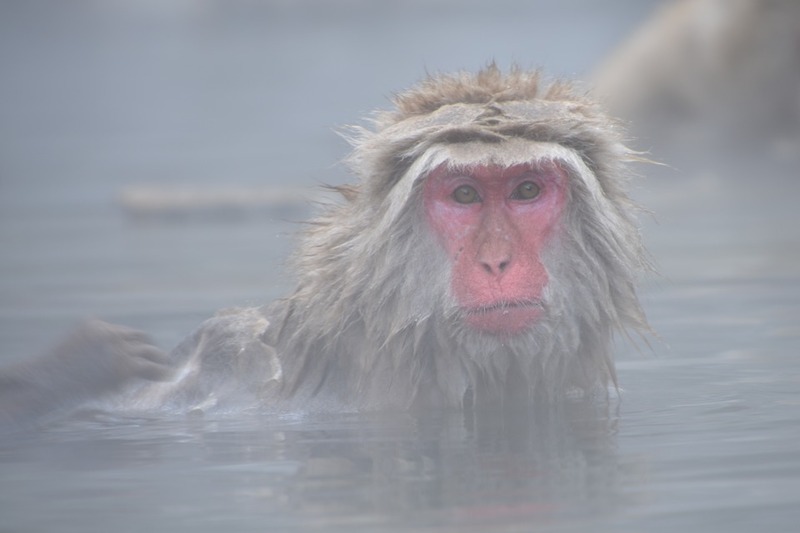 The monkeys were first discovered taking a dip at a traditional Japanese Inn called Korakukan, still situated in the Jigokudani area of Nagano prefecture, or “Hell Valley”, an area famous for their hot spring water and health benefits. The first photo of a monkey bathing in the onsen waters was taken by Tomio Yamada in 1962. Two years later, the Jigokudani Monkey Park was established by Sogo Hara, as a way to protect them from the encroaching farmlands, and the hot spring pools once devoted to Korakukan guests was cordoned off exclusively for monkey use! Fast forward 56 years later, and the Japanese macaques (or their ancestors) are still using the waters. They are the only monkeys in the world known to bathe in hot springs. The Jigokudani Monkey Park is a fantastic place to visit during the winter months when the monkeys use the waters. A day tour is easily arranged as part of a ski or snowboard trip to Hakuba Ski Resort, also located in Nagano prefecture. The trip from Hakuba takes about one and a half hours including a rest stop en route. The bus journey itself is part of the appeal, rambling through the scenic mountainous area of traditional Nagano prefecture, as an English speaking guide explains the history of the local farmers and architecture. Upon arrival at the park, it is a 30 minute walk through the forest to where the monkeys reside. Following the monkey park, the tour includes lunch at a traditional sake brewery in the historic town of Obuse, followed by a trip to the famous Zenkoji Temple in Nagano city, before heading back to Hakuba. The Hakuba Valley Lift Pass as well as equipment rental with Central Snowsports allows for 1-2 rest days on your pass to take a break from skiing and enable you to do the day trips guilt free, either at the beginning, middle or end of your stay in Hakuba. 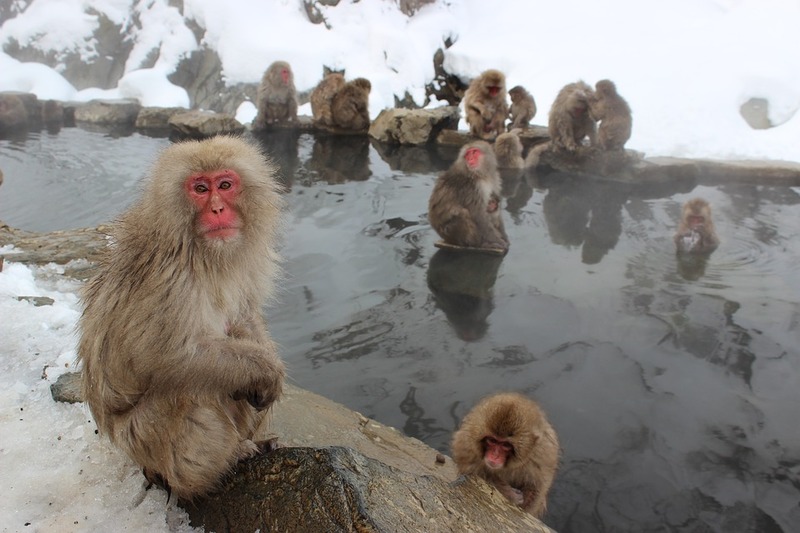 The Snow Monkey Park excursion is suitable for both adults and children and is a recommended add on to any Hakuba ski holiday!